Analyses of the water of the Paraopeba River also revealed indexes of mercury twenty-one times above the acceptable levels. RIO DE JANEIRO, BRAZIL – Researchers from the Oswaldo Cruz Foundation (Fiocruz) warned on Tuesday of the possibility of aggravation of chronic diseases in the population of Brumadinho and its surroundings, especially in isolated areas and without access to health services, due to the rupture of the Córrego do Feijão mine. Brumadinho residents as well as firefighters helping to look for victims may be susceptible to diseases such as Zika and dengue, photo courtesy of Minas Gerais Firefighters. “Tragedies like Brumadinho affect water conditions, can aggravate pre-existing chronic diseases in the population, the proliferation of diseases and numerous effects on the mental health of the affected population,” Valcler Rangel, chief of staff for Fiocruz’ president said during a meeting to coordinate the responses for the emergency health services. The institution, linked to Brazil’s Health Ministry, has created a map of communities whose access may be hampered by blockages caused by mud that has leaked after the tragedy. “The entire valley of the Paraopeba River is an area of transmission of schistosomiasis (also known as snail fever),” warns Fiocruz researcher Christovam Barcellos. According to the researcher, there is also a risk that people, for fear of contamination, will start to store water incorrectly, facilitating the reproduction of the Aedes Aegypti mosquito. The insect transmits diseases like dengue, zika and chikungunya. 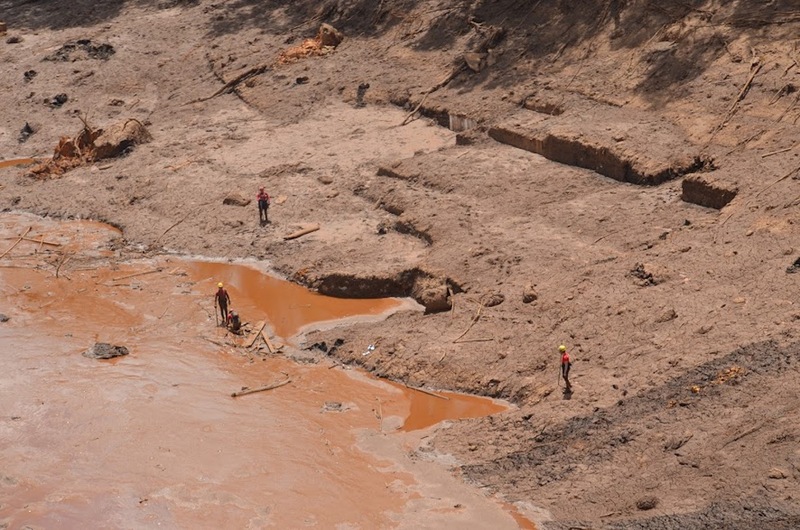 And although mining giant Vale has stated that the mud which buried many houses and plantations in Brumadinho was only composed of silica, analyses of the water of the Paraopeba River conducted by by Minas Gerais health secretary the four days following after the mud slide revealed indexes of mercury twenty-one times above the acceptable levels. The analysis also shows that nickel, lead, cadmium and zinc were also present on January 26th, one day after the disaster, at one of the monitoring points. Mining company, Vale, issued a statement last week stating that it has mobilized 400 health professionals, including doctors, nurses, psychologists, social workers to work in the municipality of Brumadinho.